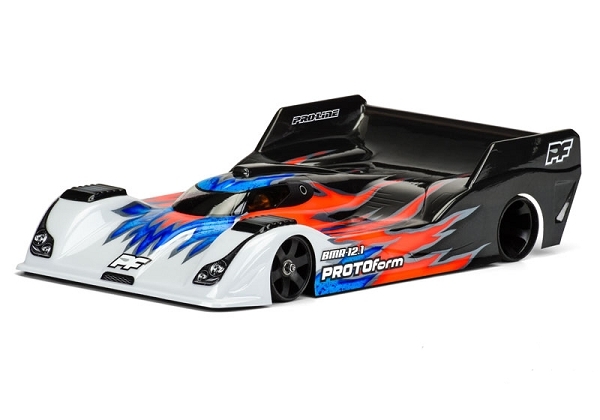 The Protoform BMR-12.1 offers improved steering over the previous BMR-12 body. On the new high-grip black CRC carpet, Protoform team drivers found they needed additional mid-corner steering using the original BMR-12. Additional testing found that removing the center fin and altering the rear trim line greatly increased rotation.